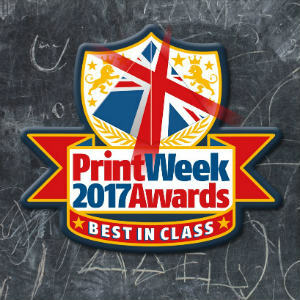 The PrintWeek Awards celebrate excellence throughout the print industry. Quality and performance are at the forefront of these coveted awards, which are considered as the greatest and most sought after awards in the print industry. The PrintWeek Awards ceremony is the most prestigious event in the printing industry’s calendar. The exquisite event is typically attended by over 1,000 guests; a mixture of print buying and print production professionals. The event will take place on Monday 16th October 2017, at the distinguished Grosvenor House Hotel, Park Lane, London. The gala dinner and awards presentation will be accompanied by an excellent three-course meal, and a night jam-packed with top-quality entertainment, including live music and an after-show party. These are the main shortlist areas this event will focus on: Company of the year, SME of the year, Environmental Company of the year, Costumer Service Team of the year, plus plenty of additional categories rewarding performance and quality in the print industry.